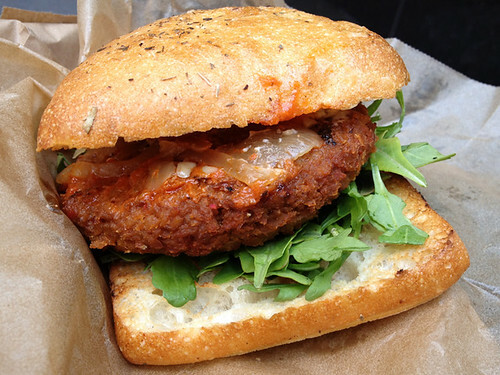 Yum Veggie Burger: Help the Cinnamon Snail Food Truck keep serving mind-blowingly delicous vegan food! Help the Cinnamon Snail Food Truck keep serving mind-blowingly delicous vegan food! Fellow veggie burger lovers, here is your chance to do some good and show the Cinnamon Snail Food Truck how much you appreciate their friendly faces and fantastic food. The Cinnamon Snail has started a Kickstarter campaign to raise money to purchase a new truck, since their trusty old truck has been plagued by mechanical difficulties that prevent the Snail from being out on the streets serving their award-winning food as often as they should. They need to raise a lot of money for this, and they only have one week left to do so. If you've ever eaten any of the Cinnamon Snail's food before, you know how fortunate we are to have a food truck like this in NYC! If you haven't had the chance to try their amazing menu yet, let me tell you that they offer one of my favorite veggie burgers which I reviewed HERE. In addition to a second veggie burger, rotating specials that often include even more veggie burgers, and a number of equally stunning vegan sandwiches. And did I mention the donuts? 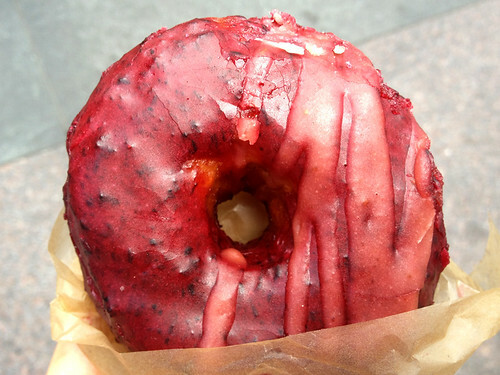 The most creative, delicious donuts you will ever eat - whether you are a vegan or not! They have so many inventive flavors - including my personal favorite, a bourbon creme brulee donut, which is nothing short of orgasmic! Please check out their Kickstarter page HERE and consider helping them out! The world really is a better place with food trucks like the Cinnamon Snail in it, and they do so much good for the NY/NJ area (including donating food to victims of Hurricane Sandy after that tragedy). If you still need an extra incentive to donate, check out the list of rewards they are offering for different donation levels! But please consider returning the love that the Snail has shown our community, and help them keep cooking such amazing vegan food! My mouth is already watering. 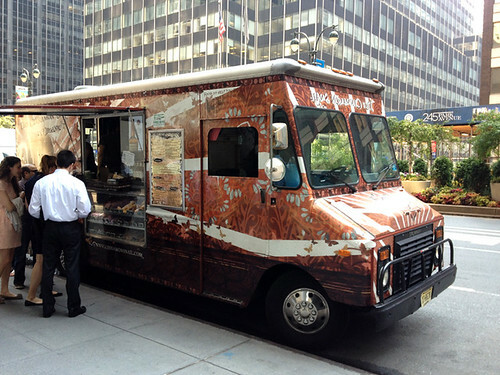 Last month we hired food truck for Corporate Lunch Catering. It was awesome. Thanks for sharing. Keep exploring new taste.